When not organising music concerts or playing jazz piano and guitar in his own band, or fulfilling his obligations as the current president of the BIVC (Bureau Interprofessionnel des Vins du Centre), Daniel Chotard makes some wine. 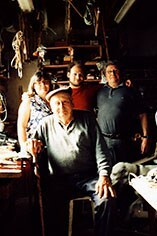 There have been vignerons in the Chotard family since 1789, but it was in 1992 that Daniel Chotard resumed work at the domaine. The domaine’s vines are situated on limestone slopes in the south-west of the region at Reigny near Crezancy-en-Sancerre, in Loire. In total, the area under vines is 15 hectares, 80% of which is planted with Sauvignon Blanc, with the remaining 20% being Pinot Noir. They farm 40 different vineyard parcels in total. Daniel Chotard believes the terroir here is crucial in defining his wines. In the vineyard he employs the principles of lutte raisonnée, utilising organic products where and when possible and allowing grass to grow between the vines on the slopes. In the winery, he seeks to constantly maintain and improve his facilities. 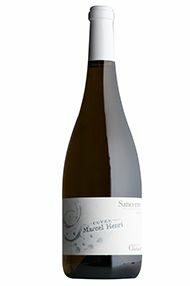 His aim is to produce a natural wine, true to its origins, with a fine aromatic profile. 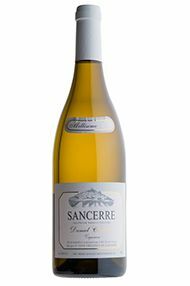 For example, for his Sancerre Blanc he carefully selects yeasts that will not influence the natural aromas of wine, so the mineral expression and the character of the grape variety are not disguised. Ultimately, the philosophy of this musical vigneron can be summed up with his own statement that ‘…good wine is made to bring happiness…’. 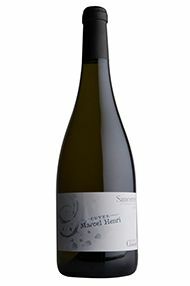 This is an exemplary Sancerre, raised in a combination of stainless steel and large oak foudres, which add breadth to the palate but no discernible oaky aromas – indeed, the nose is a paean to Sauvignon Blanc, with aromas including grass, gooseberry and passionfruit. There’s a slight smoky character to the long, fresh finish. A memorable match for warm goats’ cheese. Will Heslop, Burgundy Buying Assistant, summer 2018. The grapes for this cuvée are from the domaine’s oldest vines, giving a dense concentrated wine, with powerful aromas of ripe citrus and tropical fruit. Twelve months on the lees in large, neutral oak foudres intensify rather than temper its exuberance. It’s fuller-bodied than most Sancerres, so makes a winning accompaniment to cheese soufflé. It also ages well, so enjoy now (summer 2018) and over the next five years.